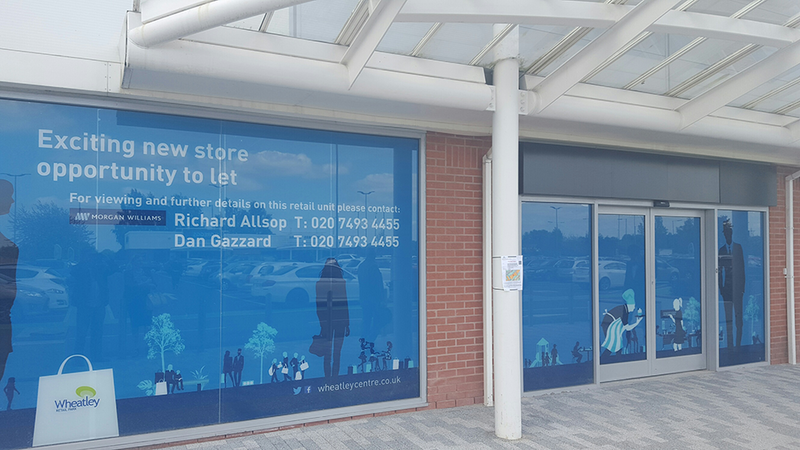 Window vinyls are a great way to hide a cluttered interior while attracting passers-by to enter your premises, making them a win-win marketing option that effectively turns your shop window into a large-format sign. By covering some or all of the glass, window vinyls provide extra privacy – this can, for example, hide the interior of premises where shoppers would prefer not to be seen, or turn just part of a fully glazed frontage into an opaque ‘wall’ against which shelves, racks and other displays can be placed on the inside. Window vinyls can be just part of the height of the window, so that passers-by can still see in at head height, and natural light can still enter the building too. Or they can cover the glass from floor to ceiling, creating a total privacy screen or shutting out excess light and heat during the summer months, while adding a vibrant, large-format marketing message to the front of your premises. They are suitable for retail premises and offices alike – and can even be used on the first floor for privacy from neighbouring high-rise buildings, or to advertise to passers-by who happen to look up from below, or who are on the top deck of a passing bus. Depending on the position and shape of your premises, you may have an expanse of glass on a side wall or even at the rear of the building, and screening this off with window vinyls may help to direct visitors to the correct entrance. And as window vinyls are easy to install and remove, they can provide a temporary screen during short-term promotions and special events, or while interior renovations are carried out. The list goes on – all you need are some windows, for window vinyls to be a great option that should not be overlooked when considering how to screen off part of your interior, make your frontage more vibrant, or display a marketing message at large resolution.